Following the success of our recent digital dentistry workshop, we are pleased to offer you the opportunity of learning about digital dentistry. Therefore, in response to the high level of interest expressed by everyone in digital dentistry, we would like to offer to make a personal visit to your practice to demonstrate the many benefits that would flow from digital dentistry. 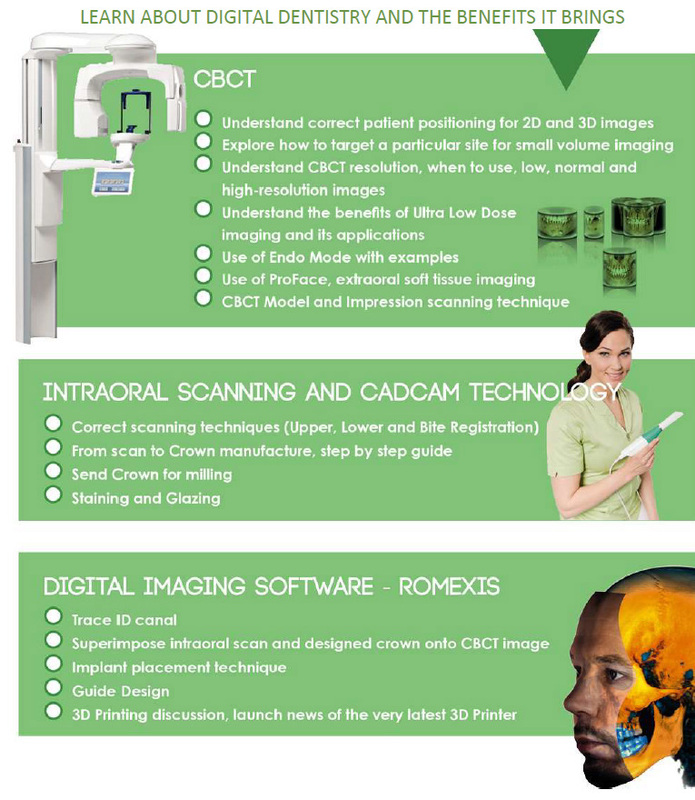 Learn about CBCT technology, impression scanning and digital software. To arrange for the Digital Dentistry on Tour to visit your surgery, simply fill out the form below indicating a convenient date and time. To arrange for the Digital Dentistry tour to visit your surgery, simply fill out the form below indicating a convenient date and time.